The CSS Grid Layout Module offers a grid-based layout system, with rows and columns, making it easier to design web pages without having to use floats and positioning. The grid properties are supported in all modern browsers. 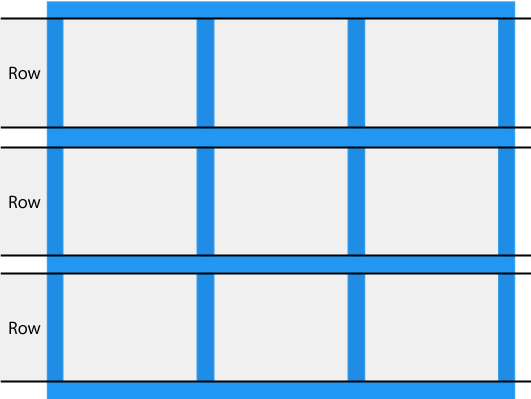 A grid layout consists of a parent element, with one or more child elements. An HTML element becomes a grid container by setting the display property to grid or inline-grid. All direct children of the grid container automatically become grid items. 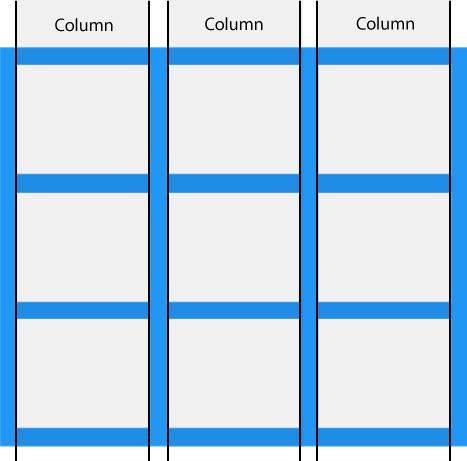 The vertical line of grid items are called columns. 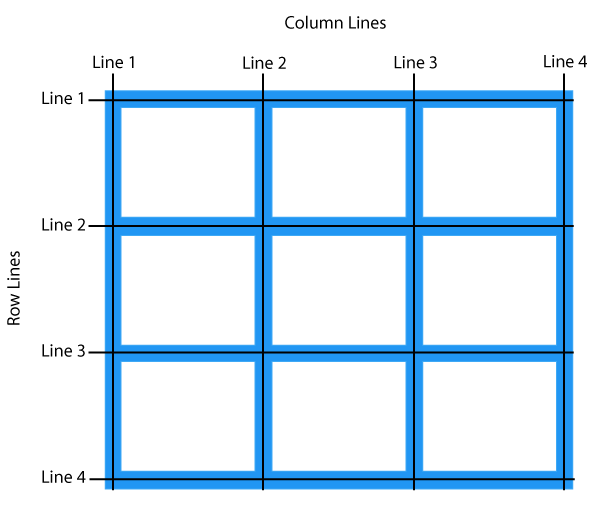 The horizontal line of grid items are called rows. 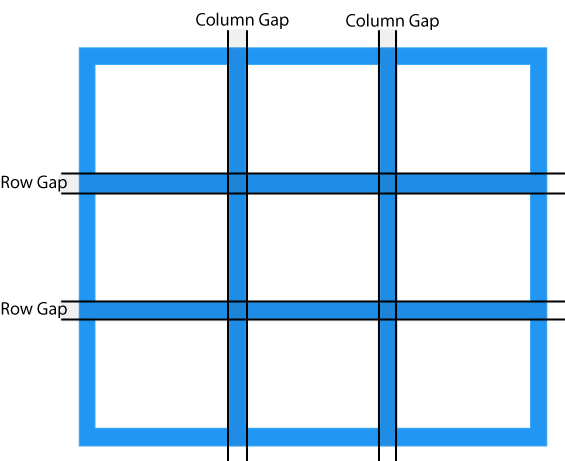 The space between each column/row are called gaps. The line between columns are called column lines. The line between rows are called row lines.